73% consider this habit as an effective means to save their purchases. 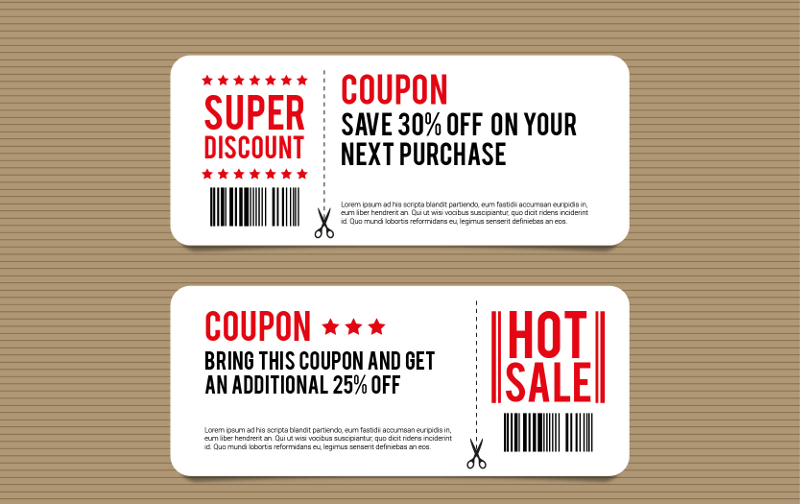 The growth of the use of discount coupons, promotional codes and special offers in the services and products that most interest us in our online purchases is evident. Due to the unstoppable boom in the use of the network, the ecommerce portal conZumo.com has carried out a study to know the opinion of Internet users about this behavior and in particular, analyze how useful this tool is to save money in shopping. According to the results of the survey for consumers who use these types of discounts, electronic mail (26%) is the most used means to obtain them following the acquisition through web pages (22%), however mobile devices (9%) ) are still in third place, however they are gaining ground because of the great growth in the use of this medium. Among the possibilities to enjoy these coupons 68% of respondents say that, at least once they have used it in their purchases. To these results it should be added that entertainment activities with 28% are the leaders among the options offered. But these not only use the discounts offered by the Internet to save on their purchases, but 69% recognize that it generates a high degree of confidence when it comes to redeeming them. In addition, these statements are reinforced with the results that reveal that 73% of Internet users think that the offer of these discount coupons is an effective tool to promote companies. Interestingly, men with 54% are the customers with the greatest habit compared to 46% of women who buy these offers in their online purchases, being the age range for the target audience between 25 and 40 years of age. Continuing with the demographic data, the Andalusian respondents (22%) are the ones who opt for these discounts when making their purchases in the network, behind them appear the Catalan Internet users with 16% and in third place are the people of Madrid with a 13 % of the total. Regarding the employment situation, 27% of the respondents are unemployed, which may be the reason for the economic recession that we are experiencing.